LOVEFiLM, Netflix, BlinkBox, ITV Player and NowTV will not be available on PlayStation 4 in the UK at launch, while other provider’s streaming apps still remain in question. 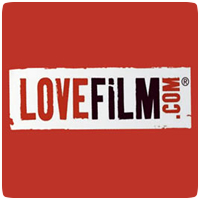 In response to questions over twitter, LOVEFiLM says they have no confirmed information on the new devices, with Netflix responding with a similar statement. “We don’t have any confirmed information about these devices, but we will always try to be on as many devices as possible,” explained LoveFilm, while Netflix said they had no news on apps for Xbox One or PlayStation 4, but their “goal is to be on every device”. Blinkbox, NowTV and ITV also gave similar responses. The BBC and Channel 5 have yet to respond to our enquiries regarding a PS4 and Xbox One version of their players. Over 20 video services and apps are coming to PS4 across Europe: Watchever, Maxdome and LoveFilm (Germany), Wuaki and TotalChannel (Spain), BBC iPlayer, BBC Sport, BBC News, Demand5 and LoveFilm (UK), Tvigie (Russia), RTBF and DVDPost (Belgium), Ximon (Netherlands / Belgium), Pathe (Netherlands), Viaplay (Nordics), and FilmoTV, Jook and GameOne (France). But it looks like most of these services won’t be around for launch.